Erasmus was a pioneer of biblical, patristic, and classical scholarship at the turn of the 16th century. He referred to the core of the Christian faith as the philosophia Christiana (Christian philosophy) and believed that this Christian philosophy had much in common with the ethical teachings of the great pagan philosophers. In his colloquy “The Religious Banquet,” the character Eusebius praises the deathbed sayings of ancient pagans as signs that they had lived virtuously and were prepared for death, in contrast to many Christians who relied on superstitious ceremonies. Zwingli followed Erasmus in his hope for the salvation of virtuous heathens. He based his inclusivist position on the doctrine of predestination. Faith was the inevitable response of the elect to the proclamation of the gospel, but infants and those who had never heard the gospel could be saved without faith, simply because they were chosen by God. If they grew up, they would live virtuously, and if they heard the gospel, they would believe it, but salvation depended on nothing but God’s sovereign choice. Luther understood hell primarily in terms of alienation from God resulting from the futile human effort to be justified by our own works. 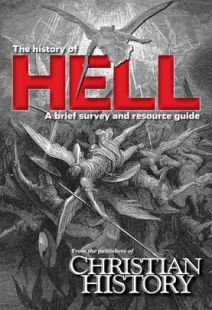 In his early writings, such as the lectures on Romans, Luther suggested that purgatory is in fact indistinguishable from hell, and that a person who is truly in the grace of God will accept this apparent damnation as the just punishment for their sins. At this point purgatory will have done its work and the repentant sinner will experience the presence of God. The effort to escape damnation (understood as horrific torment after death) or even purgatory (often understood in Luther’s time as an equally horrific but temporary state of torment) is spiritually harmful and will in fact result in damnation. Only by throwing themselves on the mercy of God and abandoning efforts at self-justification may human beings escape the divine judgment. In the Romans lectures, Luther also seems to support the view of Erasmus that virtuous heathen might be saved. Later, Luther rejected purgatory outright and insisted on the importance of actually hearing the Word proclaimed (in contrast to Erasmus, Zwingli, or Denck). However, he continued to stress damnation as alienation from God resulting from self-righteousness rather than as a state of hideous torment. Denck was seen in his short lifetime as one of the major representatives of Anabaptist thought, even though he renounced the idea that baptism must be a sign of prior faith shortly before his death and reconciled himself with mainstream Protestantism. Denck understood the “Word of God” as an internal word that speaks to the heart of every human being. This made it possible for those who had not heard the gospel to be saved. Denck was accused of universalism, and his teaching on salvation seems to point in that direction, but it is not clear that he actually affirmed that everyone would be saved. Calvin sided with the later Luther over Zwingli on the absolute necessity of hearing the Word of God for salvation. For Calvin, the doctrine of predestination explained why it was just for only those who heard the gospel to be saved. (Calvin’s affirmation of original sin as defined by Augustine, which Zwingli had questioned, gave him a basis for affirming the damnation even of those who appeared never to have had a chance for salvation.) However, like Luther, Calvin focused on the existential aspect of damnation as separation from God, rather than on the physical torments of hell described in much medieval preaching and visionary literature. Hence, Calvin could describe Jesus as suffering the torments of hell in Gethsemane and on the cross when he was abandoned by God because of our sins.